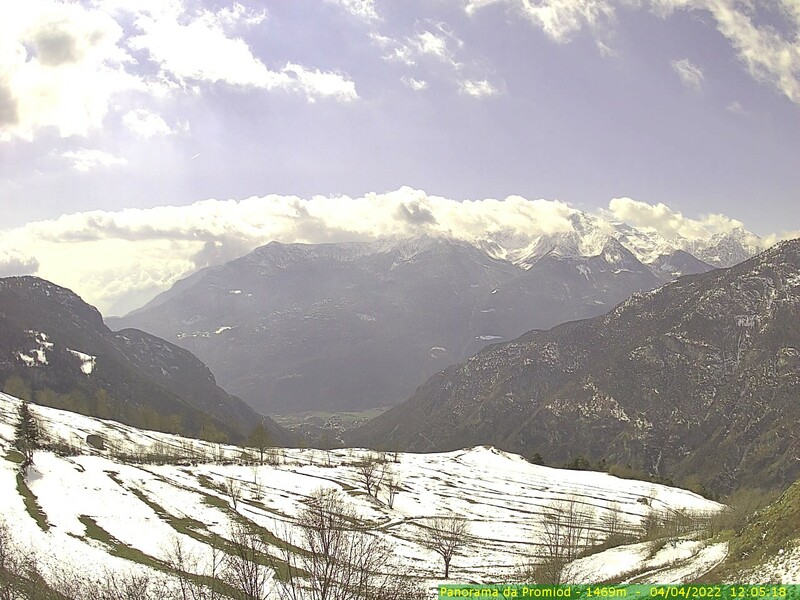 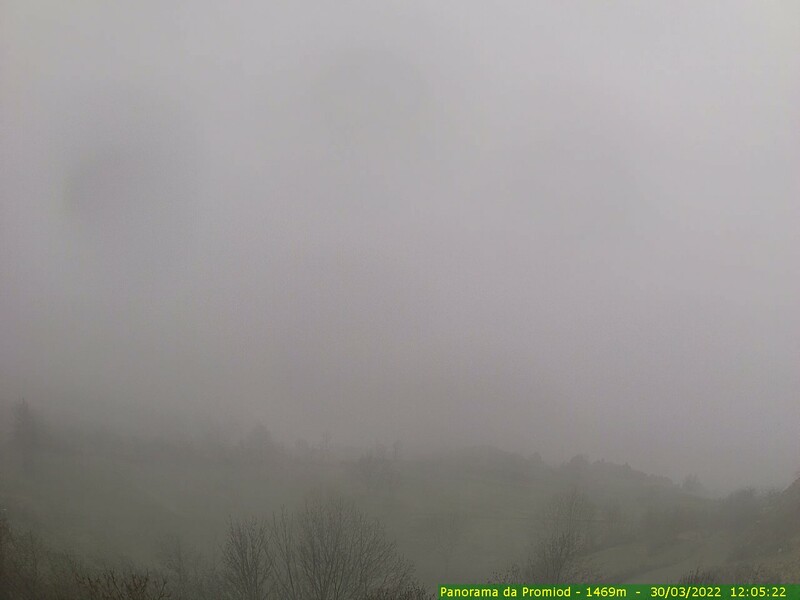 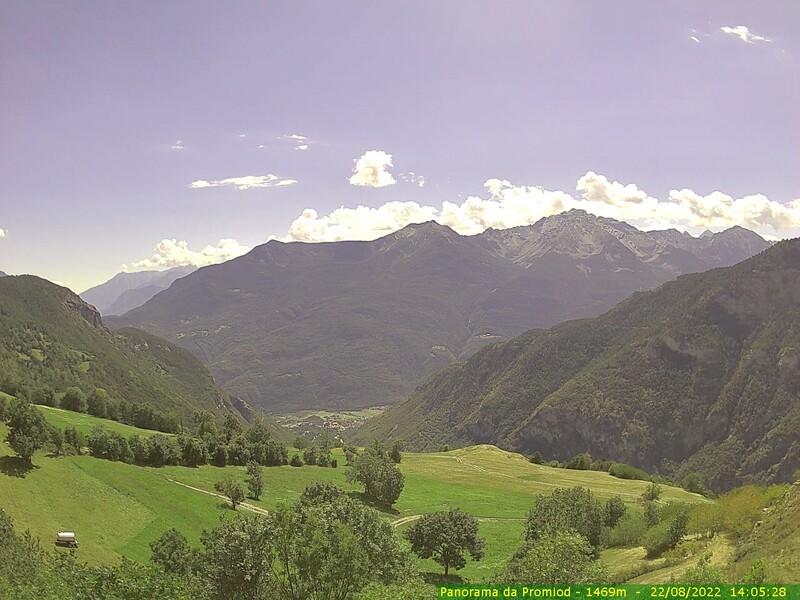 Webcam Promiod: Panorama View - South view from Promiod (AO - Italy). 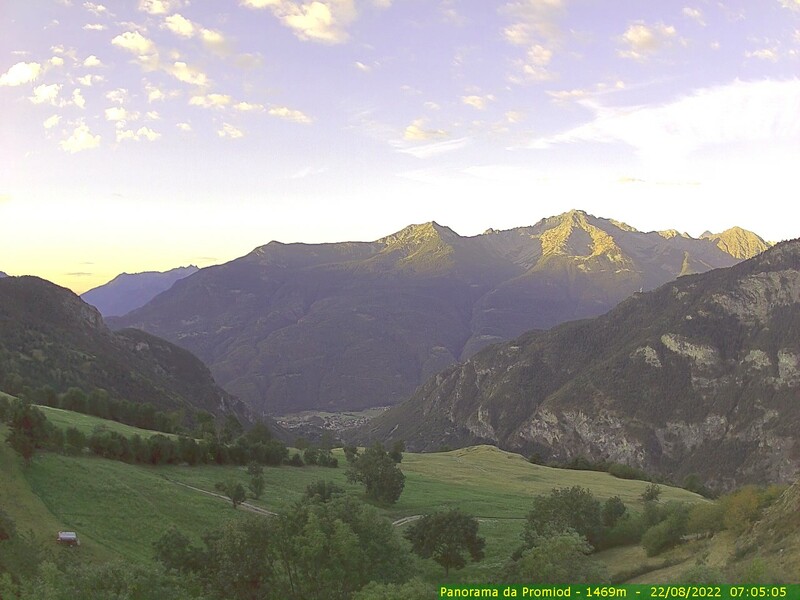 Daylight only. 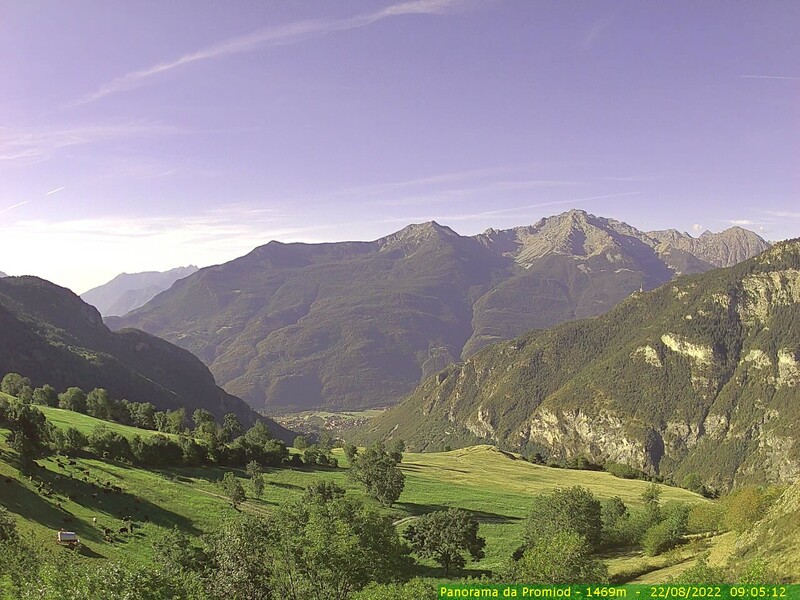 La Magdeleine: PANOMAX La Magdeleine, 2 mi. 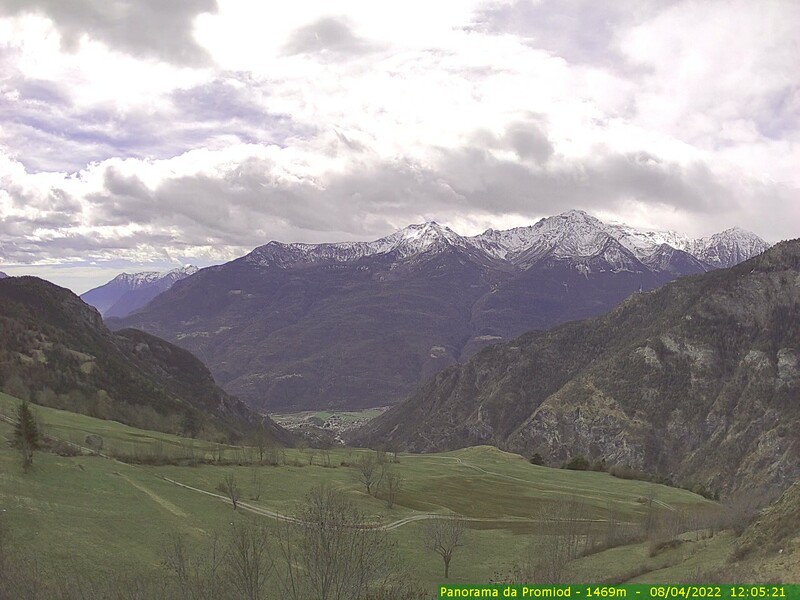 Torgnon: PANOMAX Torgnon Chantorne Skiarea, 2.8 mi. 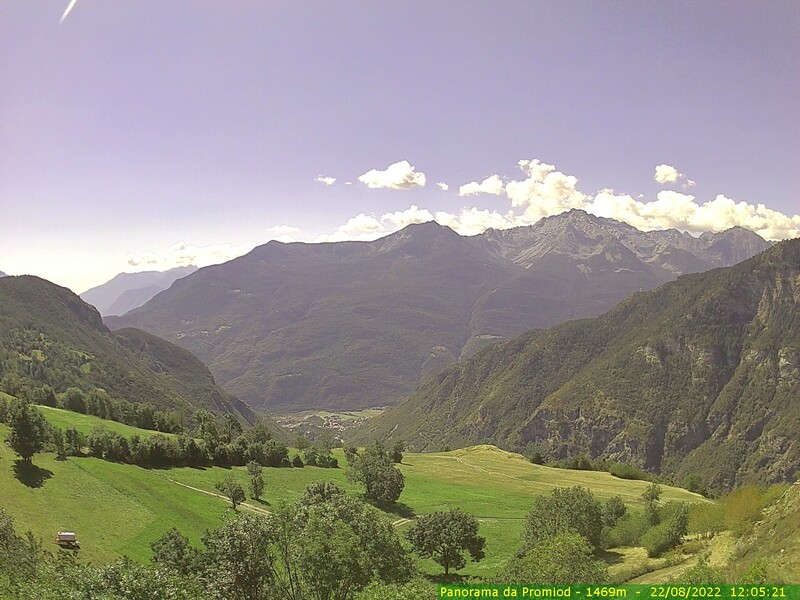 Fenis: Castello di Fenis, 6.2 mi. 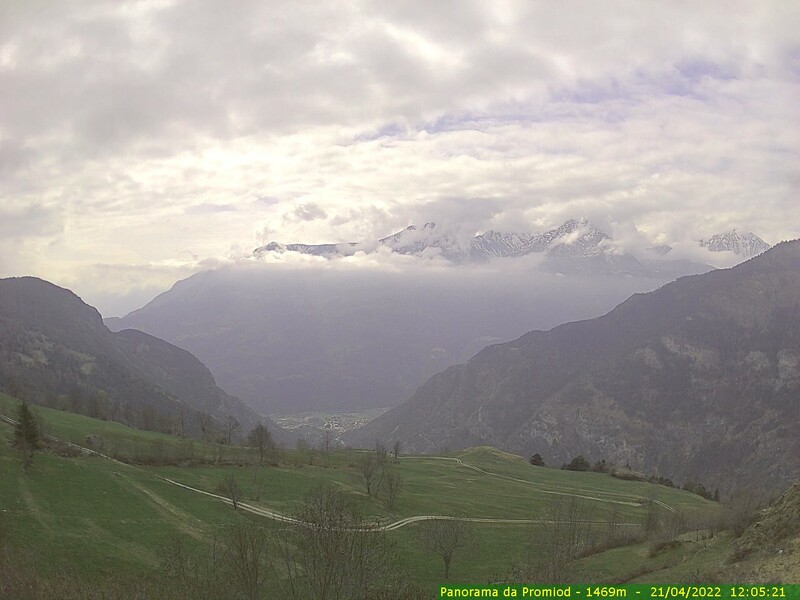 Breuil-Cervinia: PANOMAX Bec Carre, 8.9 mi. 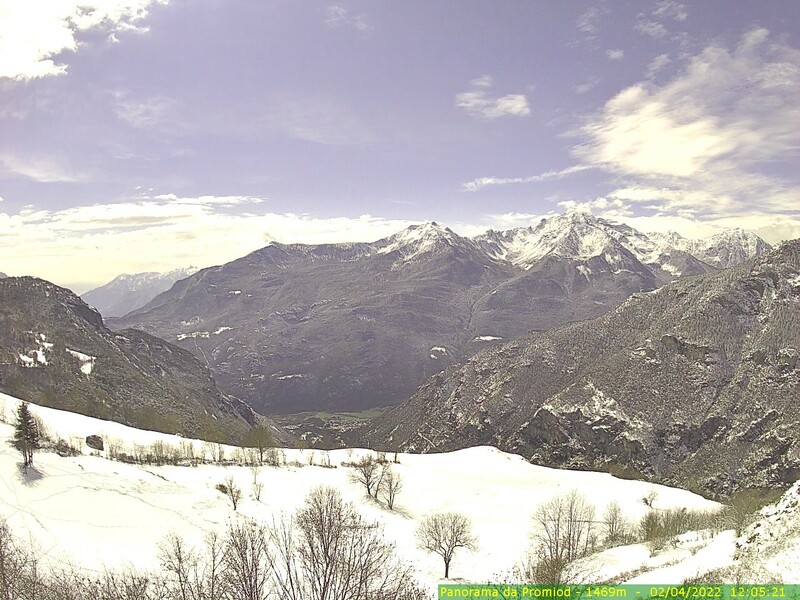 Breuil-Cervinia: PANOMAX Cervinia Matterhorn, 11.1 mi. 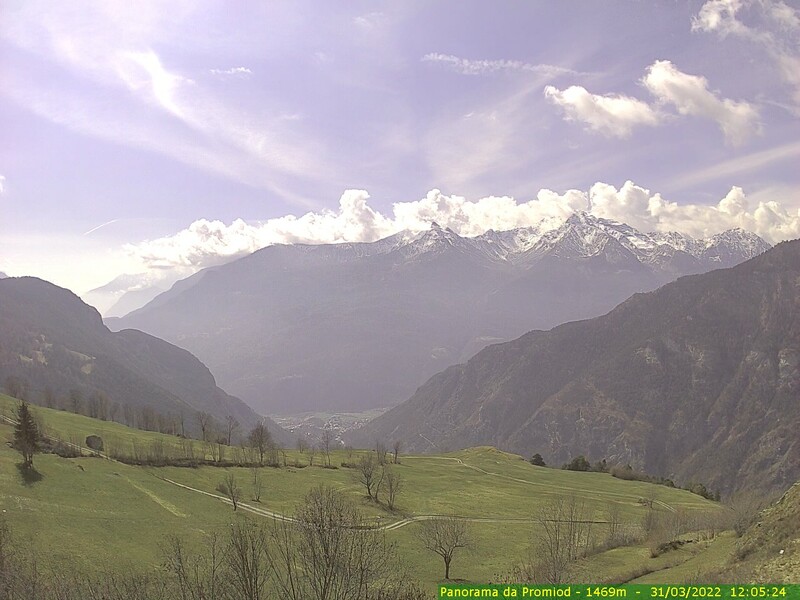 Breuil-Cervinia: PANOMAX Plateau Rosa, 11.5 mi. Zermatt: Plateau Rosà, 12.1 mi. 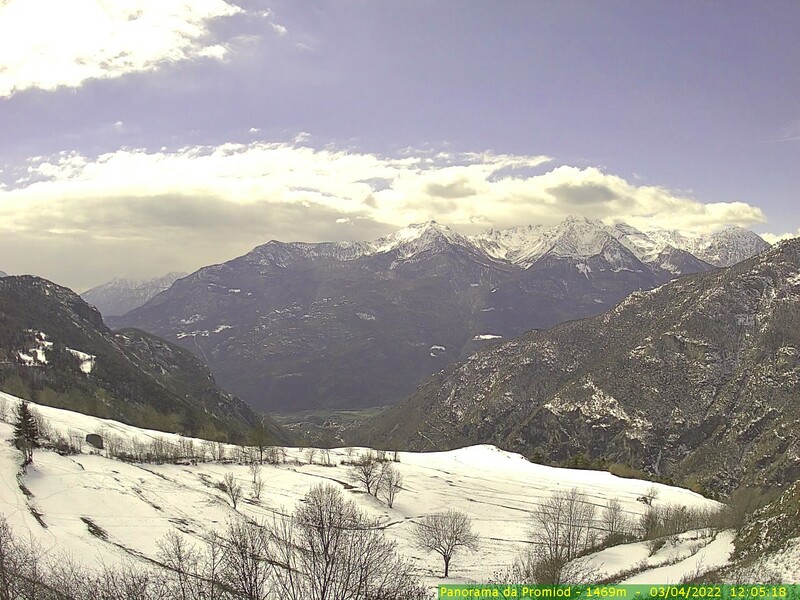 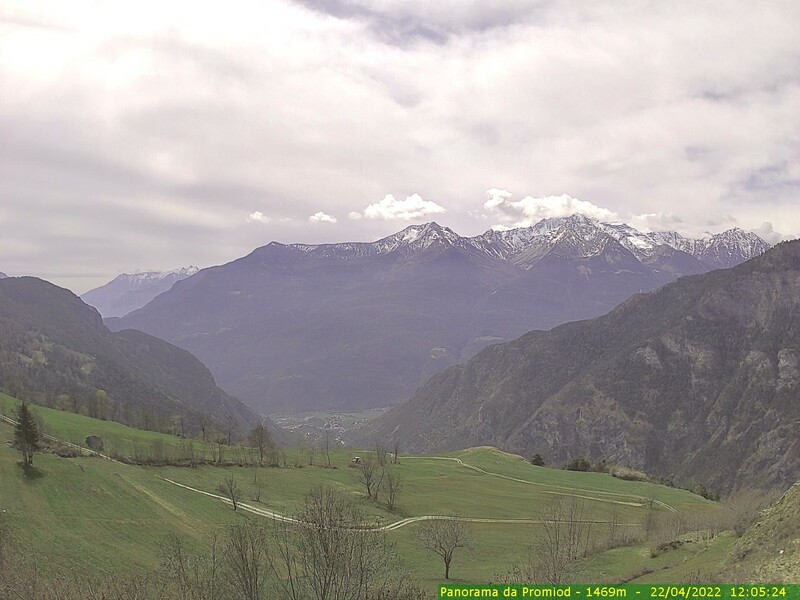 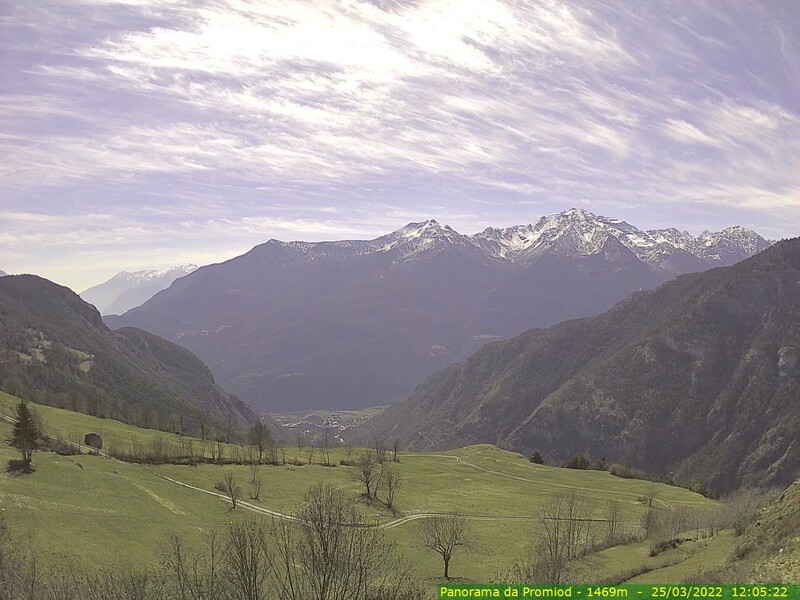 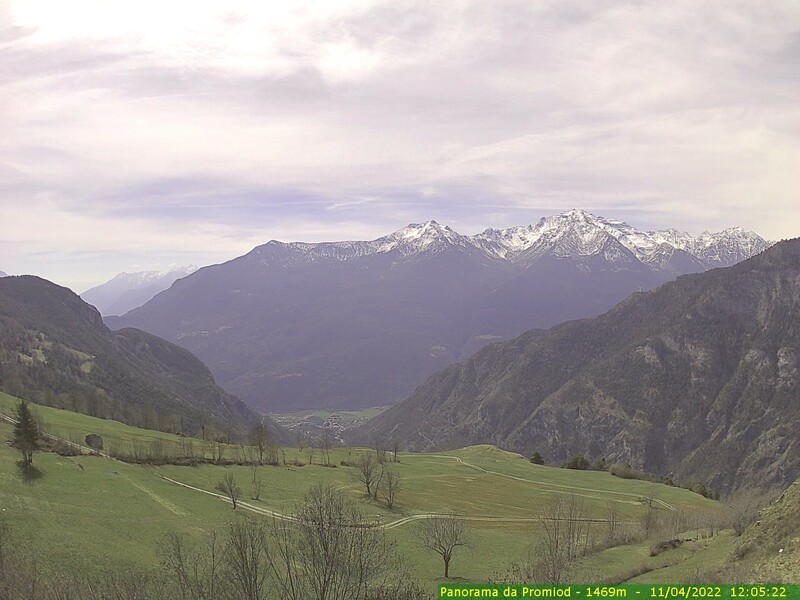 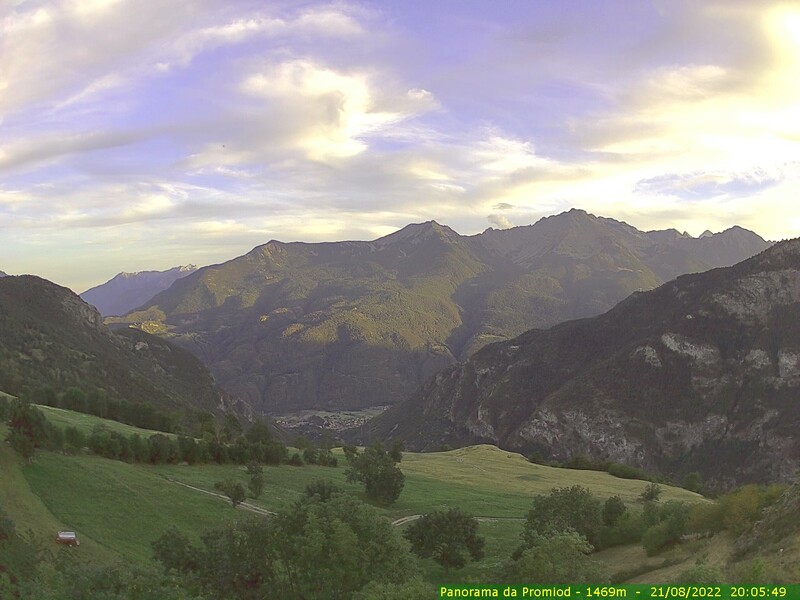 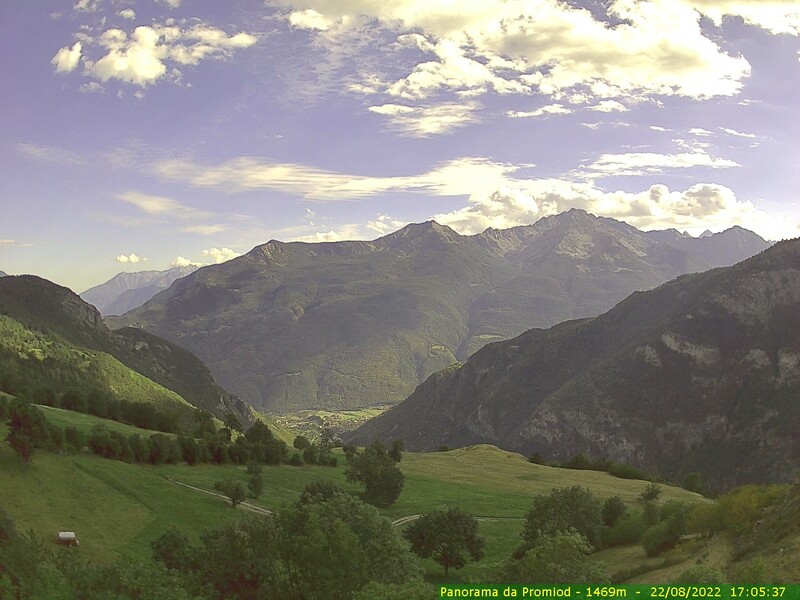 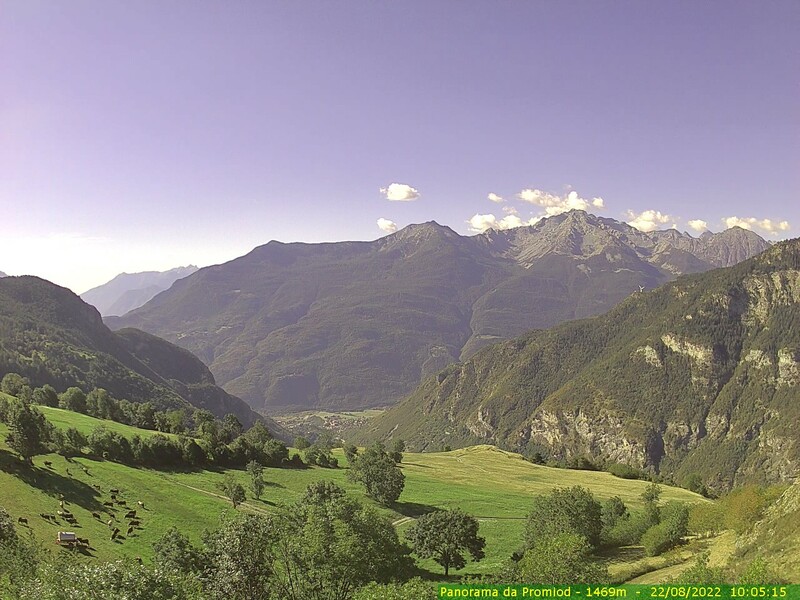 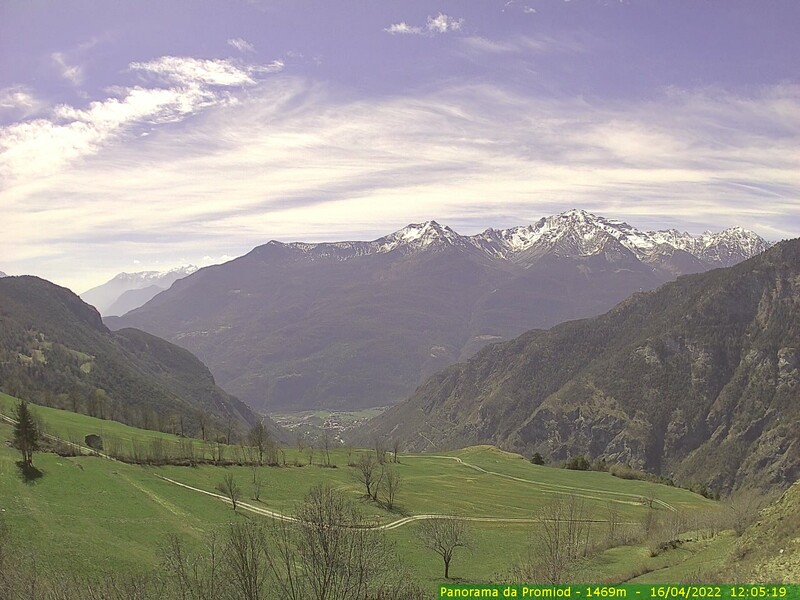 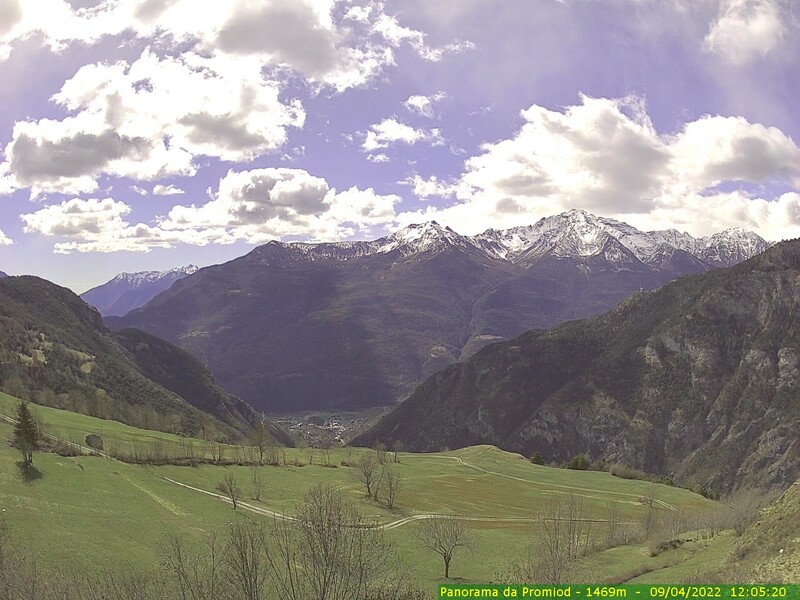 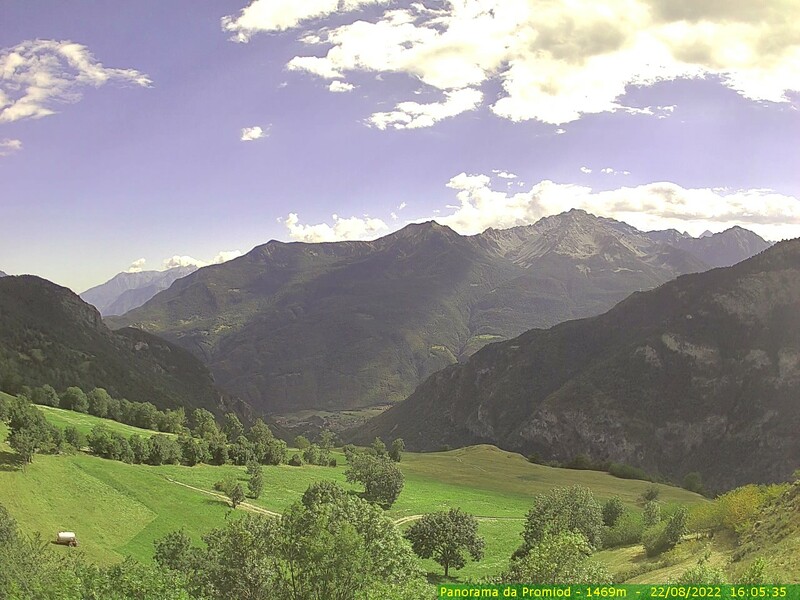 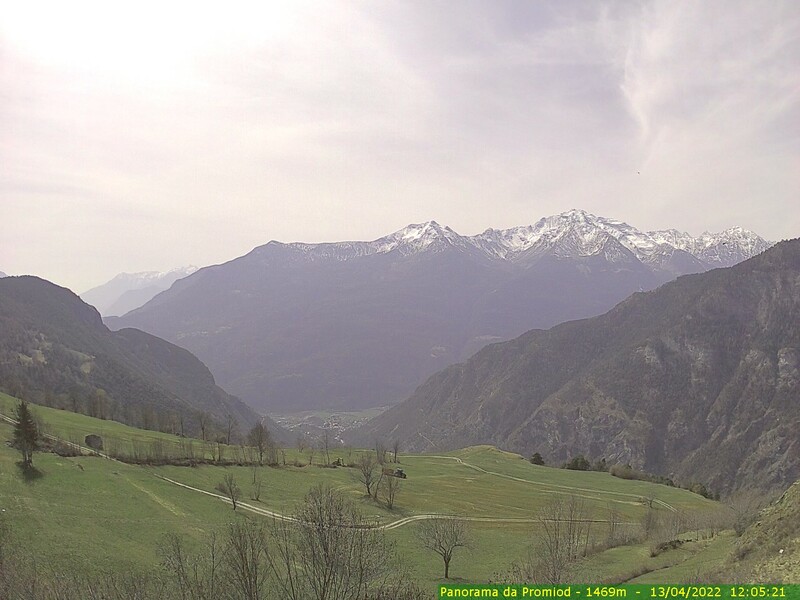 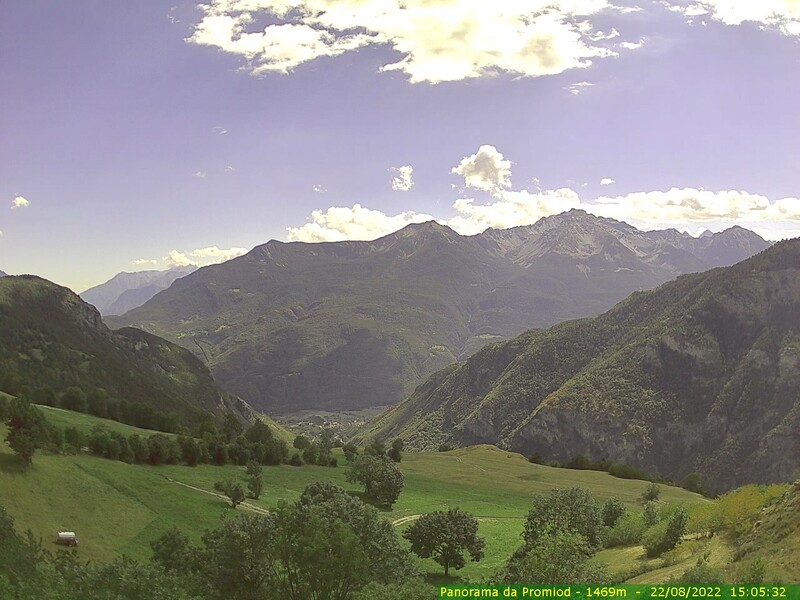 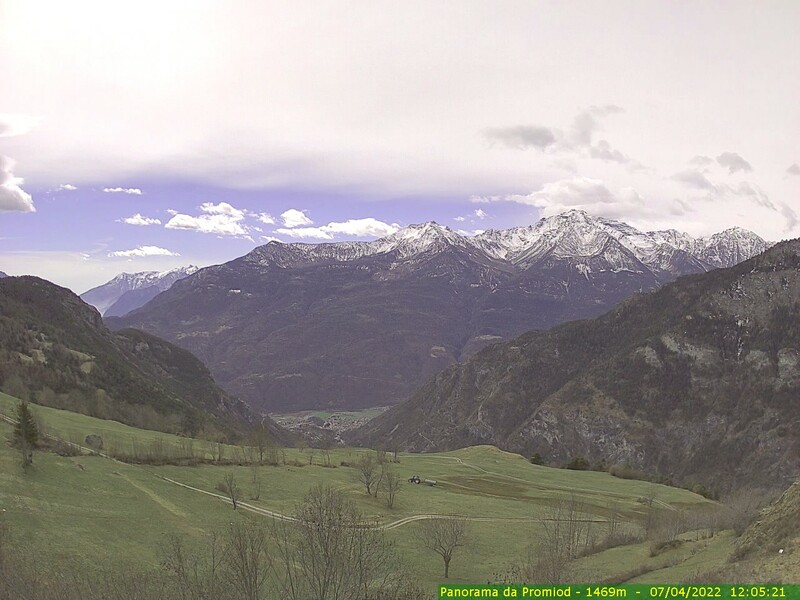 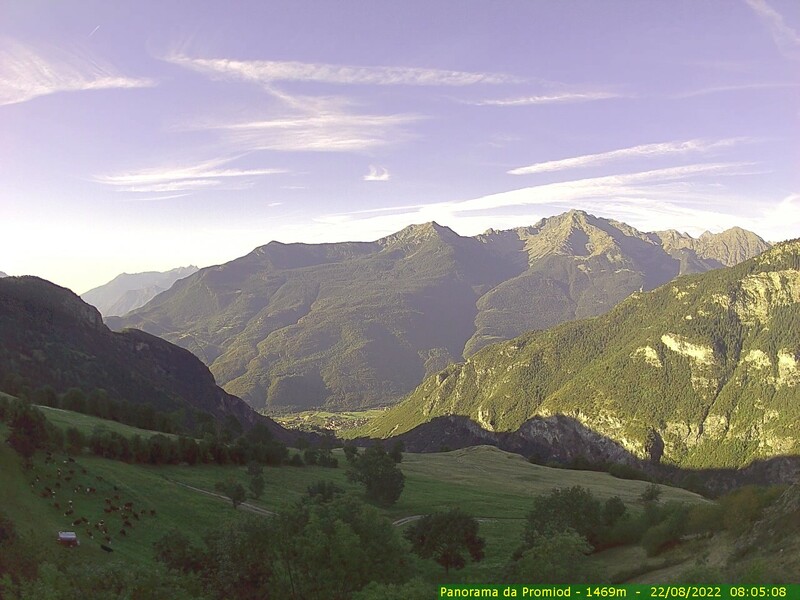 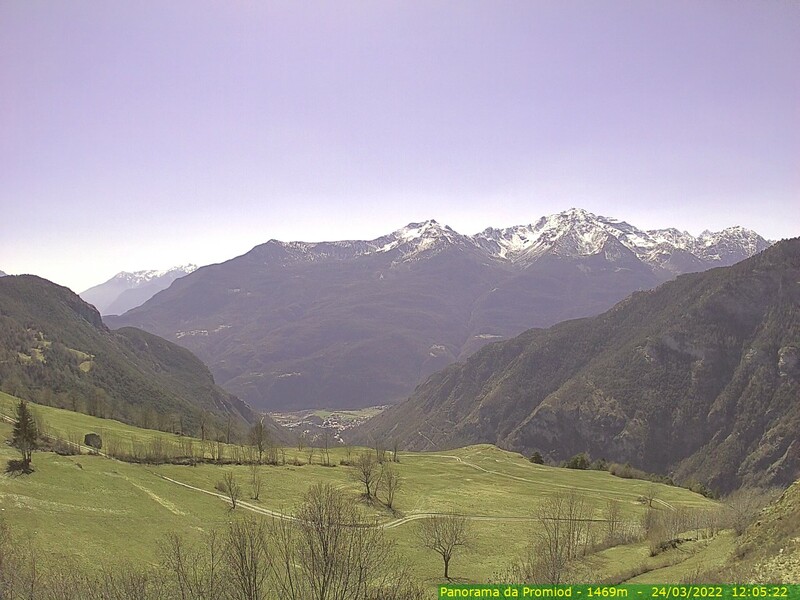 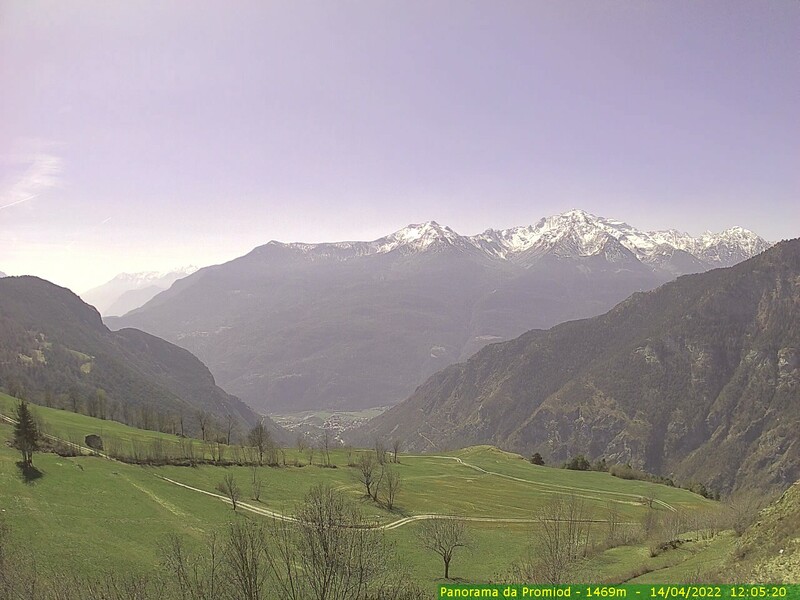 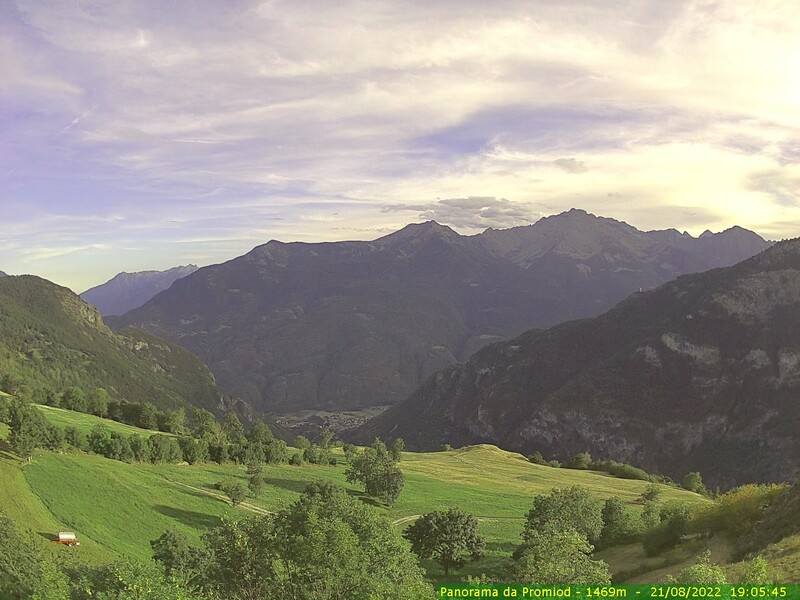 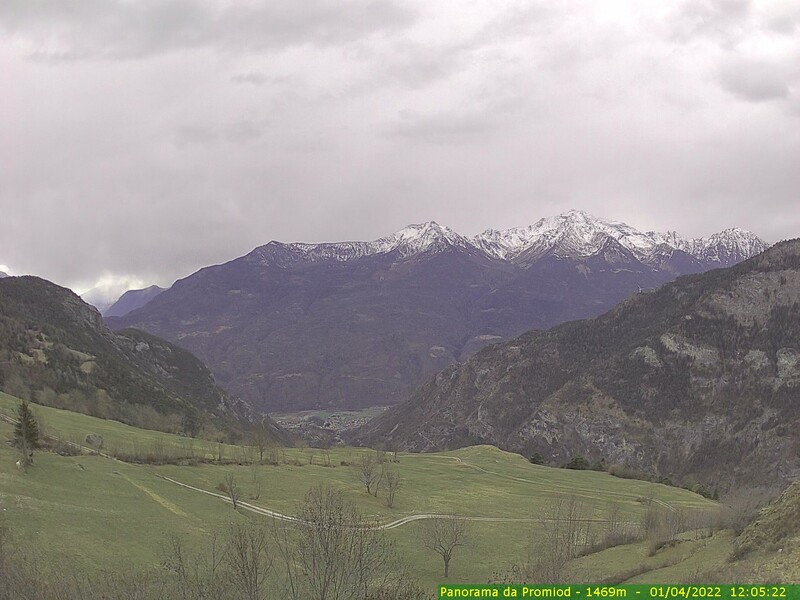 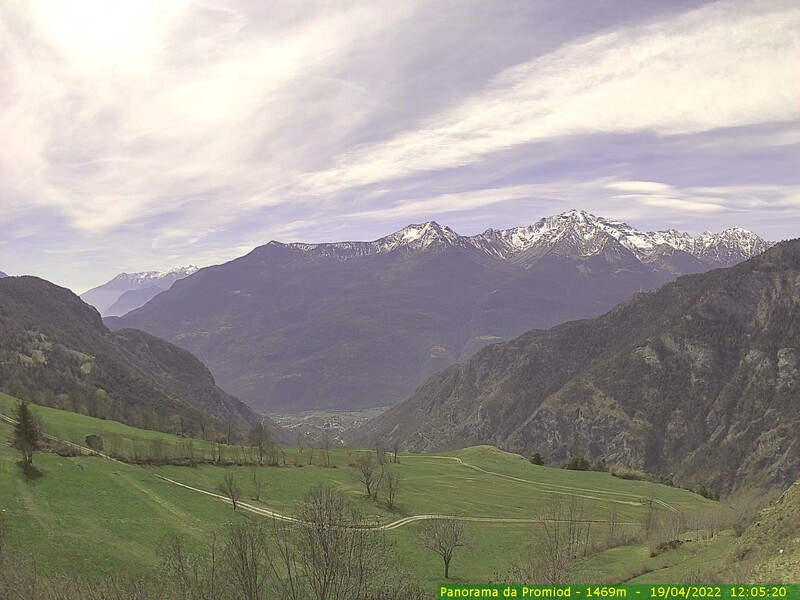 This webcam Promiod with the theme Landscapes was added on October 2, 2012 and is operated by La Tana del Trifide. 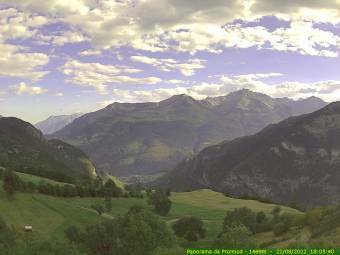 It got 1410 visitors since then. Shouldn't this webcam work or should the link be wrong please report that here. You can add this webcam here to myCams.